Dr. O.P. 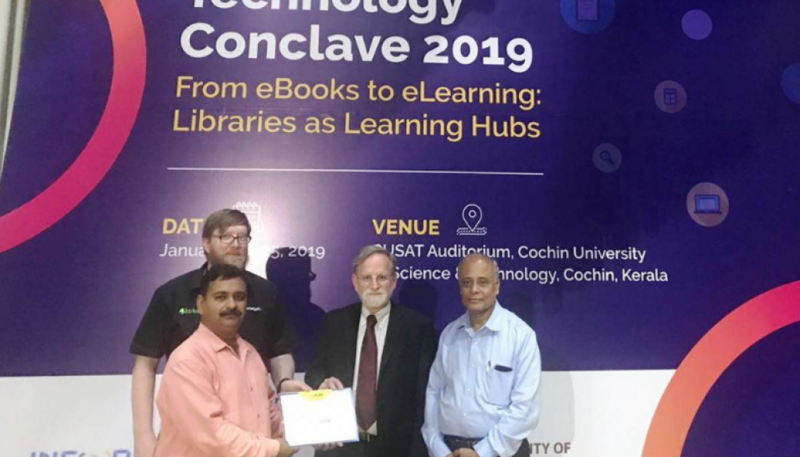 Bhalla Central Library finishes as First Runner up to the Best Technology Enabled Library Award at recently held Library Technology Conclave 2019 at Cochin University of Science and Technology. 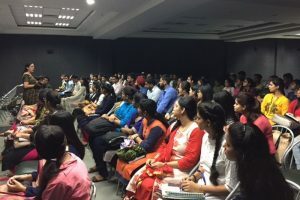 The conclave, unique of its kind, focused on Technology applications in Library and Information Services delivery with theme “From eBooks to eLearning: Libraries as Learning Hubs”. The three days conclave deliberated on Industry 4.0, Artificial Intelligence, Big Data and Virtual reality and research data management in context of dynamic changing role of academic libraries. 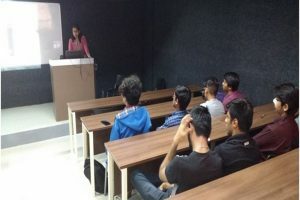 University Librarian Dr. Vikram Sharma presented a paper and presentation on “Technological Applications at Dr. O.P. Bhalla Central Library” which was highly appreciated and the Conclave chair commented that any new university setting up their Library and Information Center should look forward to Dr. O.P. Bhalla Central Library as a role model. The conclave witnessed participation from library and technocrats from across India and keynote sessions delivered by Dr. Marshall Breeding, Former Director, Vanderbilt University Libraries, Dr. Viraj Kumar, Indian Institute of Science Bangalore and Dr. Rishikesha Krishnan, Professor, IIM Bangalore on the technology tools which have changed the dynamics of learning and teaching. 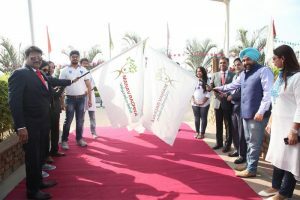 Manav Rachna Centre of Foreign languages organized Transcendence – a mosaic of global harmony to solemnize United Nation’s message for world peace!